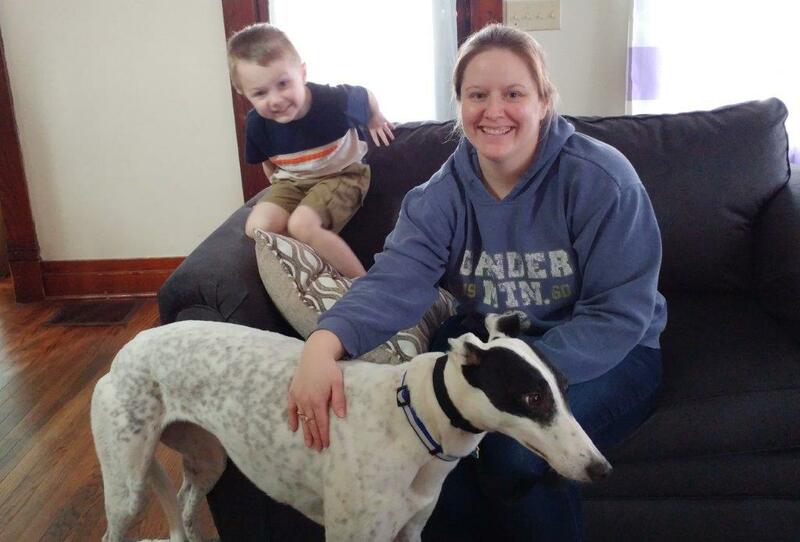 Julie of Martinsville adopted from us years ago and always knew her next dog would be another greyhound. The time was finally right to make it happen for her and sons KJ and Lucas (not available for the photo). Her previous grey had a challenging personality so we found a super sweet girl for her - GLS Loosy Goosy is now called Izzy. Once Izzy conquered the first short flight of steps, everything just got better and better.